The facilities and resources have been structured to fulfill the needs of the multi-disciplinary research programs at Fox Chase Cancer Center. They have been designed to enhance ongoing research by supplying information, reagents and technical expertise that are not readily available to the individual investigator. The Office of Clinical Research provides a centralized resource to facilitate the development, conduct, quality assurance monitoring and evaluation of clinical trials at Fox Chase Cancer Center. The office coordinates the majority of clinical research studies within the departments of medical oncology, surgical oncology, radiation oncology and population science. Research topics include cancer prevention, developmental chemotherapy, combined modality therapy, dose-intense therapy with stem cell support, antibody targeting, supportive care and ancillary studies. Learn more. The IMF works directly with members of the FCCC scientific programs at the preclinical, clinical, and laboratory levels to perform immune phenotyping and functional studies on samples from patients in clinical trials. 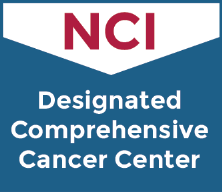 In addition to the IMF, FCCC has established a full-service pipeline to support these correlative studies through harnessing the expertise and specialized equipment housed in the FCCC Protocol Support Laboratory, Genomics Facility, High Throughput Screening Facility, Histopathology Facility, Clinical Pathology Department, Biosample Repository, and Bioinformatics and Biostatistics Facility. Learn more. The Molecular Diagnostics Laboratory was initially established for the purpose of performing the mutational analysis of genes, such as BRCA1 and BRCA2, which are involved in hereditary forms of breast and ovarian cancer. The laboratory now performs clinical mutational analysis on lung, colon and gastrointestinal tumors, to name a few, on a wide variety of genes and non-coding and regulatory regions of the human genome. Learn more. The centralized collection, processing, analysis, shipping and tracking of clinical research specimens is integrated with clinical trial operations though the Protocol Support Lab. This established resource provides an efficient mechanism for the uniform handling of laboratory specimens, together with the capability to perform some selected detailed immunologic assays. Working with Pathology, eligibility testing now occurs within three days. The number of specimens handled has continued to increase, with more than 10,000 specimens in 2014. Learn more.